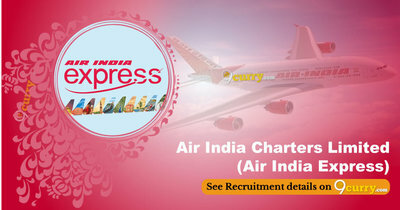 Air India Express Recruitment 2019 - Below are various recruitment notifications published by Air India Charters Limited (Air India Express) / airindiaexpress.in. As of now, we don't have any active recruitment notification by Air India Express featured here. We may update as soon as the organization announces a new job notification. If you are looking for any information related to previously organized recruitment drives by Air India Express, you can browse through previous job notifications mentioned below and get the new updates or information you are looking for. Air India Express Recruitment 2019 - Job notification for 43 Officer, Dy Manager & Other Posts in Air India Express, Calicut, Kerala, Karnataka, Mumbai, Maharashtra on Contract Basis. Applications are invited by Air India Charters Limited (Air India Express) on or before 07 Apr 2019 for 43 vacancies. 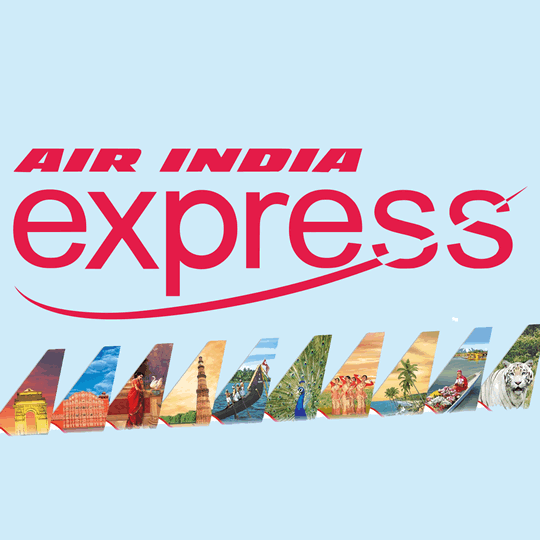 Air India Express Recruitment 2019 - Job notification for Chief Manager, Officer & Chief of Materials Management Posts in Air India Express, Kochi, Kerala on Contract Basis. Applications are invited by Air India Charters Limited (Air India Express) on or before 03 Mar 2019 for 3 vacancies. Air India Express Recruitment 2018 - Apply Online for 86 Trainee Cabin Crew Posts in Air India Express, Across India on Contract Basis. Online Applications are invited by Air India Charters Limited (Air India Express) from 12 Dec 2018 to 01 Jan 2019 for 86 vacancies. Air India Express Recruitment 2018 - Job notification for 46 Manager, Sr. Officer, Coordinator & Other Posts in Air India Express, Mumbai, Delhi, Kannur, Cochin, Calicut on Contract Basis. Applications are invited by Air India Charters Limited (Air India Express) on or before 16 Dec 2018 for 46 vacancies. Air India Express Recruitment 2018 - Job notification for 46 Assistant, Officer & Various Posts in Air India Express, Across India on Contract Basis. Applications are invited by Air India Charters Limited (Air India Express) within 15 days of the advertisement for 46 vacancies. Air India Express Recruitment 2018 - Job notification for 21 Manager, Officer, Co-Ordinator (Flight operations/ dispatch), Manager-Flight Dispatch, Sr. Officer- Flight Dispatch, Officer - Cockpit/ Cabin Crew Scheduling, Assistant Technical Library, Route Manager, Officer Sales, Manager- Scheduling & Network Planning, Officer- Airport Services, Senior Assistant- Airport Service, Sr. Officer- Catering Service & Other Posts in Air India Express, Kerala. Applications are invited by Air India Charters Limited (Air India Express) within 15 days of this advertisement for 21 vacancies. Air India Express Recruitment 2018 - Job notification for Senior Assistant, Manager, Senior Officer, Assistant Technical Library, Officer- Sales Grade- S-3 & Other Posts in Air India Express, Kochi on Contract Basis. Applications are invited by Air India Charters Limited (Air India Express) within 15 days of advertisement for 21 vacancies. Air India Express Officer Recruitment 2017 - Job notification for 49 Manager, Officer, Store Keeper, Dy. Chief of Finance, Dy Manager- Finance, Sr AssistantFinance/Cashier, Assistant, Assistant General Manager (CAMO), Officer Material Management, Store Inspector Posts in Air India Express Across India on Fixed Term Basis. Applications are invited by Air India Charters Limited (Air India Express) on or before 29 Oct 2017 for 49 Vacancies. Air India Express Recruitment 2017 - Latest job notification for 27 Manager, Sr. Officer & Other Vacancies in Delhi, Mumbai on Contract Basis. Applications are invited by Air India Charters Limited (Air India Express) on or before 31 Aug 2017 for 27 vacancies. Air India Express Recruitment 2017 - Latest job notification for 32 Co Ordinator, Route Manager & Other Posts in Delhi, Calcutta, Mumbai, Chennai​, Thiruvananthapuram, Cochin, Calicut, Mangalore on Fixed Term Basis. Applications are invited by Air India Charters Limited (Air India Express) before 01 Jun 2017 for 32 vacancies.